Get a Parking in Venice? Venice Information will save you money and time. I provide personal answers and others can give tips about their Parking experiences. You choose better parking areas and will get the best tips, do’s & don’ts. I’m your guide to go parking in and around Venice. The nearest parking places are at Piazzale Roma. This place is the closest you can get with the car to Venice. I will show you how! Did you know that there are no cars, bikes or scooters allowed in the historic center of Venice? But, where to park these vehicles? From my visitors, I got the advice that Mestre is a great area to park your car. How closer you park a car to Venice, the more expensive it will get. Parking at Piazzale Roma is convenient, but there are plenty of other parking places. Parking outside Venice is well arranged with transport to the city. And on a day fare sometimes you can save up to € 25 a day. What do you prefer? Via ParkCloud you can get cheap parking places outside Venice and book them in advance. How cool is that! With this booking platform, you're sure of a free parking spot. An excellent website for parking bookings and great service. Venice Utility Park 'Open Air' (Click to have more details about this parking): The address is; Via F, Via Fabio Mutinelli, 6, 30173 Mestre VE. Price per 24 hours will be around EUR 20,-, but their minimum now is 48 hours. 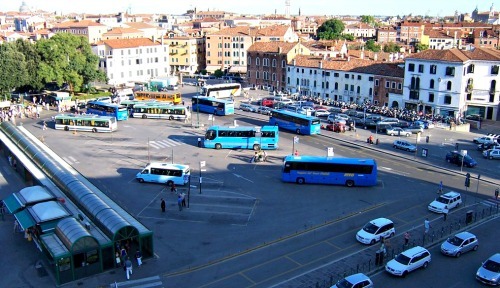 This parking area is close to the highway with a FREE shuttle service to Venice. Despite, that the parking is 7,5 km (4,6 miles) from Venice, with the shuttle transfer you are within 6 minutes in Venice. You can also choose to park your car 'Undercover' in a garage at the same location. Prices differ between these options, but both have guarded parking. It is a kind of valet parking, where you have to leave your car keys for security reasons. Later I will tell you more about this. 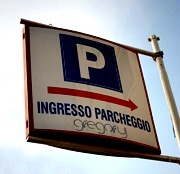 Mestre - Stazione Parking (Parcheggio Gregory): Park your car in front of the Mestre train station. 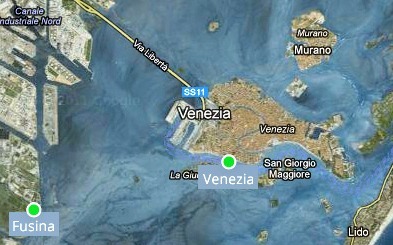 You can choose whether you want to go to Venice by bus (Line 2) or train. Daily: Mon – Fri, Sat-Sun € 8.00 € 12.00. 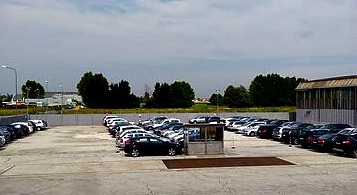 Another parking Near the train station of Mestre (Mestre-Venezia) is Mestre - Belt Park 2. 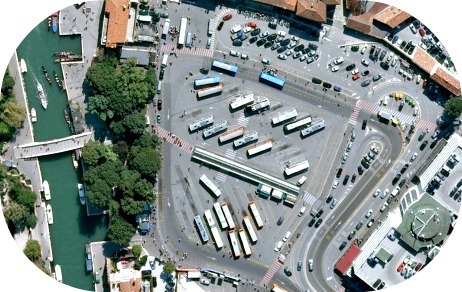 A car park in the open air, you can keep your keys, and you have a shuttle bus that goes to and from Venice. Marghera - Pili 2000 Park and Green Park Towing Service: Located just before the long bridge Della Libertà (before you enter Venice) on the right. For Campers and motors! Within 5 minutes you are with an ACTV bus into the historic center. € 4.50 from midnight to the next midnight. Parking in Venice at Piazzale Roma will give you direct access (on foot) to Venice. Walk towards the quay where you will see the ticket office of ACTV, Atvo and Hello Venezia. Take the waterbus (vaporetto) on the Grand Canal to your hotel or Rialto and San Marco Square. 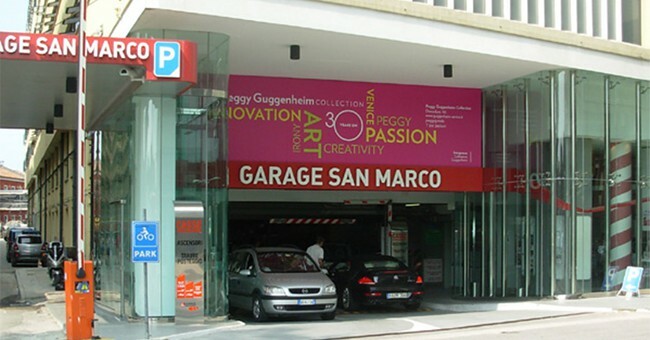 The garage where you have to leave your keys is Garage San Marco. This parking garage is directly the most expensive car parking, but also one that is most close to Venice. I parked here once, and I was also surprised by leaving my keys. 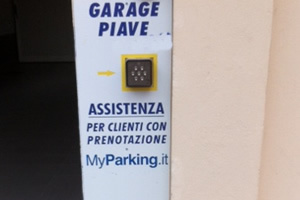 Parking 1 - Garage San Marco: Tel. +39 041 5232213, Day rate (24hours) € 30.00. Maximum vehicle height is 210cm. Drive until the square Piazzale Roma and continue to the right. Often you can get a discount on the parking fee by the arrangement of a booked hotel. When you ask them why you have to leave your car key their answer is always that their employees have to move the car when it is necessary. Because this parking garage is so packed and there is little room to maneuver. Others say they do this to drive the car and sell the spot for the 2nd time. 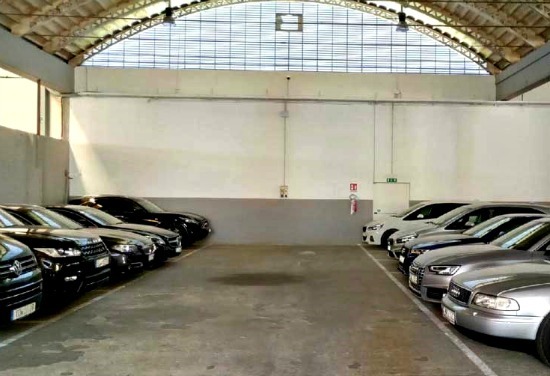 Parking 2: Autorimessa Comunale ASM Tel. +39 041 2727211, 24 - hour rate € 26.00. This parking is the most substantial parking garage in Venice. Maximum vehicle height is 220cm. It’s on the right before you reach Piazzale Roma. It is a five-store industrial looking building. The locations of all the car rental companies are on the lower floor. Parking 3: Autopark Doge: Tel. +39 041 5202489, 24 - hour rate € 38.00, € 4.50 per hour, then each hour € 3.50. It’s next to Garage San Marco and below Hotel Doge. Parking 4: Park S. Andrea: € 6.00 per hour. Just park for a short visit in the open air. It’s just behind all the bus stops. There are a few parking spaces on the square. There is almost no chance you will get a space. It’s too busy. Immediately after crossing the long bridge (Della Libertá) turn right towards the ferry terminals. Tel. +39 041 5207555, 24 - hour rate € 21.00. From the parking lot, take the bus (line 6) or the vaporetto (line 2 ACTV water bus) to the city. It is a large parking near the cruise terminals. To get to Venice, you take the vaporetto boat from the garage. Nice and easy. Scalo Fluvial: Just before crossing the Tronchetto bridge – turn directly right after the roundabout - this is a little parking, € 9.00 per 12 hours. Piazzale Roma is a 7-minute walk. On Piazzale Roma, there is a luggage storage (Deposits Bagagli). The locations of the storage is next to the Pullman Bar. Opening hours: 06:00 to 09:00 (Mon-Sun) € 5.00 per bag per day. 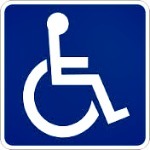 At all parking places, there are some free places for the disabled. It is possible to reserve in advance for all parking areas: Tel. +39 041 2727301. You've read about parking in Venice. There is plenty to explore. 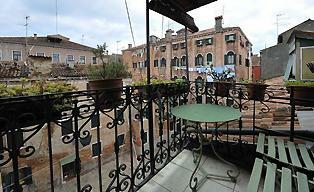 Discover Venice on my site and get more info about this beautiful Italian city. Do you have a great story about parking around Venice Italy? Did you find a nice parking spot Share it! Other visitors will like it!